West Leeds and the surrounding areas are a fantastic place for bringing up children and there is plenty going on children. October Half-Term Camp: 29th Oct – 2nd November 2018, 9.00am-5.00pm. Early drop-off available (with breakfast provided) and late pick up options too, to suit all your childcare needs. All ages and abilities welcome, from 4+ years. Find Us: Catalan Soccer, Goals Leeds, Redcote Lane, Leeds LS4 2AW. To find out more or book a space please visit www.catalansoccer.com. For general enquiries call 0113 8730129. The Mini Kicks programme offers a high energy, fun, age-appropriate introduction to physical activity through football. The programme has been carefully designed for both boys and girls 2-8 years of age. The innovative curriculum emphasises both the physical and social development of children. Tots dance class for ages 3+ running in Bramley. Contact Emma Gallagher on 07412 396 544. Contact Jamie Grand on 07957 320 857. At pre-school Mini Magic classes, parents can enjoy participating in the early stages of their child’s motor skill and sporting development. Give your child the right start in life enrol them into a gymnastics class for all. Unit 5, First Avenue, Grangefield Industrial Estate, Pudsey, LS28 6QN. Tel: 0113 2572 333. LittleLions-Rugby is a fun play programme based on non-contact sports skills for girls and boys aged 2.5 – 7 years old. Encompasses rugby specific skills such as running with the ball, kicking and catching, finding space and scoring a try, within a team environment. Classes run on a Saturday morning. from Abbey Grange School. Tel: 0800 032 1806. PQA is a weekend performing arts Academy providing tuition for children and young people from 4-18 years. Students spend three hours with us, rotating through hour-long sessions in Comedy & Drama, Musical Theatre and Film & Television and are split into age appropriate groups. 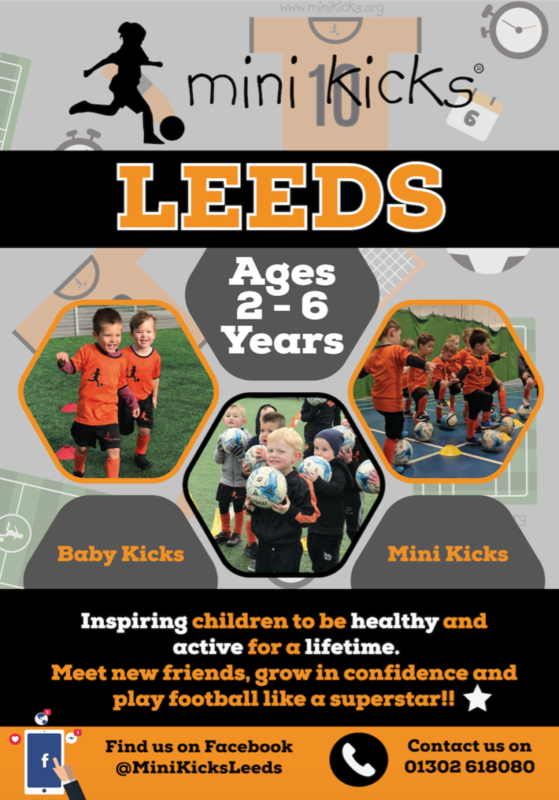 Rugby classes help to improve coordination and team working skills in children of all ages and rugby tots offer classes for every age at various locations in Leeds. Classes are available on Saturdays at Aireborough RUFC (Outdoor classes for Summer term. Indoors at Benton Park School from September) and Crawshaw Academy (Pudsey). Suitable for ages 2-7 years. 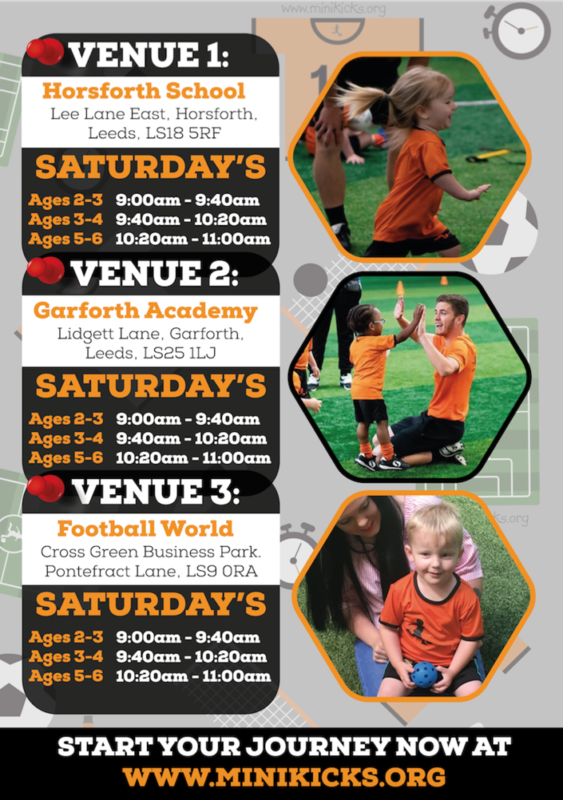 SOCATOTS is the world’s leading provider of football-related physical development activities for young children aged between six months and five years. Classes available in Calverley & Horsforth. Fun multi-sports session including, football, rugby, basketball, athletics and more aimed to help kids with their early motor, cognitive, social and sports related skills. For Age 2- 7 years. Ralph Thoresby School LS16 7RX.